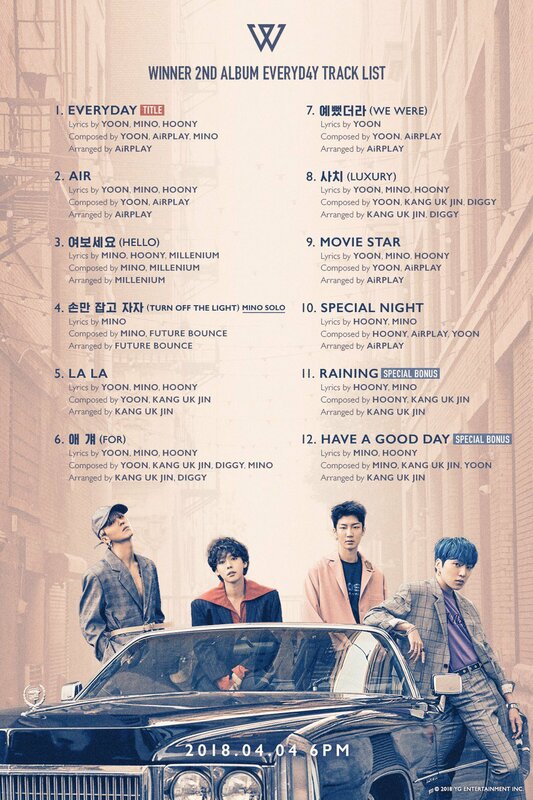 WINNER 2nd Album `EVERYD4Y` Full Tracklist - Here they are comes with full track of the `EVERYD4Y` album guys. They come with 12th tracks including special released tracks `Raining` and `Have A Good Day`. `EVERYD4Y` will be released in 4th April 2018, on 6PM (KST). Get ready guys to streaming their MV and MP3.